The Subaru XV Crosstrek Hybrid debuted as a more fuel efficient version of the XV Crosstrek in 2014. The XV Crosstrek Hybrid by Subaru brings style and signature features to the compact crossover SUV with unrivaled fuel efficiency. 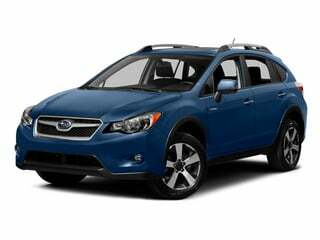 The hybrid variant of the standard XV, the new 2014 Subaru XV Crosstrek Hybrid produces the same amount of power and AWD handling while achieving superior fuel economy.